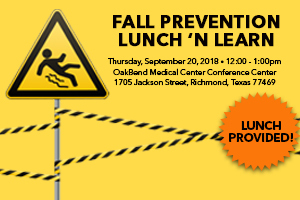 Our annual Fall Prevention Lunch ‘n Learn will take place on September 20, 2018 at 12 p.m. at our Jackson Street Hospital Campus Conference Center. 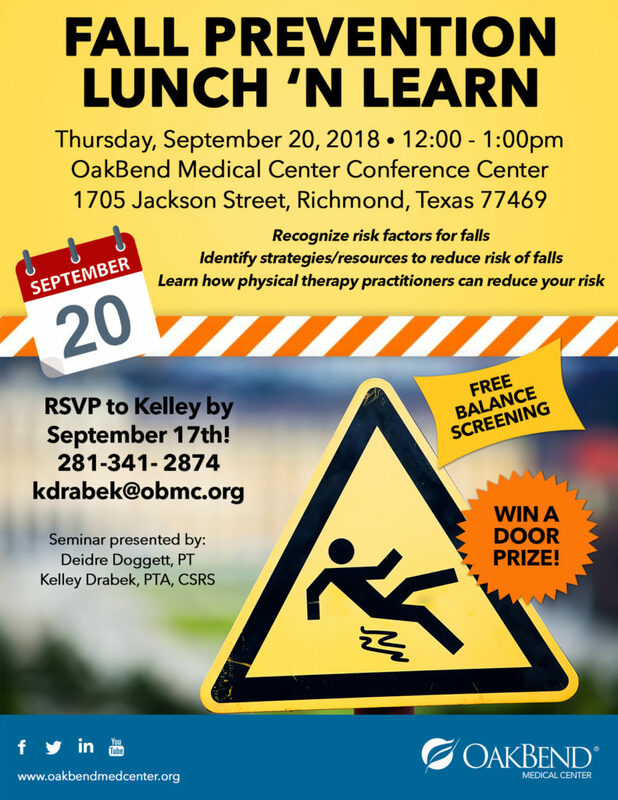 Attendees are invited to join Kelley Drabek, PTA, CSRS and Deidre Doggett, PT, as they educate on how to recognize risk factors for falls, identify strategies and resources to reduce the risk of falls, and learn how physical therapy can reduce risk of falls. Lunch is provided and all attendees will receive a FREE balance screening by our physical therapists. 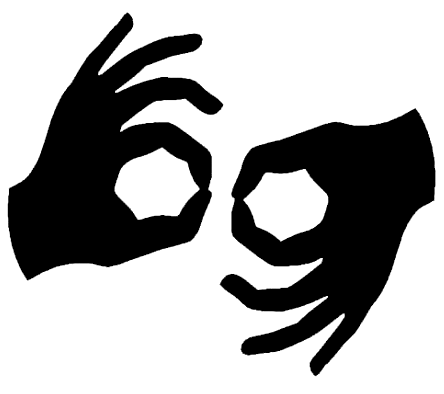 RSVP to Kelley Drabek by September 17th at 281-341-2874 or kdrabek@obmc.org.